AIKEN, S.C. — Juel Henry “J.H.” Mosley, the son of a former managing editor at the Southeast Missourian newspaper, passed away Friday, July 14, 2017, in Plano, Texas. He was 94. Born Jan. 24, 1923, J.H. was the elder child of Clara and Juel Mosley Sr., the latter a 39-year employee of the Southeast Missourian. As a boy during the Great Depression, J.H. often walked from the family home at 1433 Bessie St. to his father’s editorial office, where he watched the Southeast Missourian take shape. He also enjoyed hunting with his Uncle “Ed” Mosley, who oversaw printing of the newspaper. After graduating from Central High School at age 16, J.H. enrolled at what today is Southeast Missouri State University, earning his degree in chemistry in three years. He was a standout on the Capaha baseball team, played football, and joined the Benton Society, today Sigma Chi fraternity. 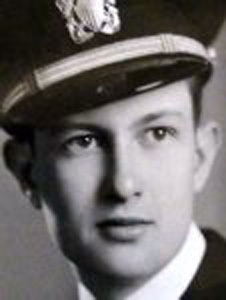 In 1943, J.H. married the love of his life, Colleen Moore Mosley. During World War II, he received his officer’s commission in the U.S. Navy and served in the Pacific theater. At the battle of Iwo Jima in early 1945, Japanese kamikaze pilots attacked his ship. Later that year, he was honorably discharged from service, then reactivated when the Korean War erupted in 1950. He later joined the Hess Corp., rising to vice president. In 1979, he left to start several businesses in the Northeast, before retiring in Aiken to be close to his son. Notably, J.H. was among the first wave of U.S. servicemen to enter Hiroshima, Japan, after its destruction by atomic bomb on Aug. 6, 1945. Years later, he recalled a landscape of “complete destruction.” In 1951, he and crew on the USS Cabildo observed the detonation of four nuclear weapons at Eniwetok Atoll in the South Pacific. During two explosions, shifting winds blanketed their ship (and nearby ships) with radioactive fallout, requiring extensive decontamination. Ironically, years later, J.H. and Colleen relocated to Camp Hill, Pennsylvania, near the Three Mile Island nuclear power plant, whose March 28, 1979, reactor meltdown prompted 140,000 residents to flee. As his neighbors panicked, J.H. puffed on his trademark cigar and cheerfully assured them the risks of radiation exposure were exaggerated. Most still fled. J.H. will be greatly missed. He is remembered for his formidable intellect, quick wit, old-school manners, and love of the Philadelphia Phillies. Well into his 80s, he was still taking daily power walks, crisscrossing the city of Aiken at a racer’s clip. When his son began announcing games for the nearby Augusta GreenJackets, a minor league baseball team, J.H. was a fixture at the stadium. Over the years, he held his hometown of Cape Girardeau in high regard and declared Blue Hole Bar-B-Que the best around. J.H. was preceded in death by his wife, Colleen Mosley; daughter, Diane Mosley McBride LeRoy; son, Juel H. Mosley Jr.; grandson, Patrick Sean McBride; and uncle and aunt, Edward and Jean Bell Mosley. He is survived by his sister, Nancy Mosley Robb; granddaughter, Allyson Sellers; four great-grandchildren; a great-great-grandson; niece, Claire Robb; nephews, John Robb and Matthew Robb; daughter-in-law, Donna Mosley; and cousins “D.H.” Mosley and Stephen Mosley of Cape Girardeau. Juel Henry Mosley will be interred in Aiken.